Some will say that we live in a dog eat dog world. In other words, if you don’t look out for yourself, you will get run over. Looking out for number one seems to be the counsel of those who want you to get ahead. Today I want to encourage all of us to be on the lookout for each other first and think of ways to make someone else’s life a bit better. What you and I make happen for someone else, God will make happen for us. 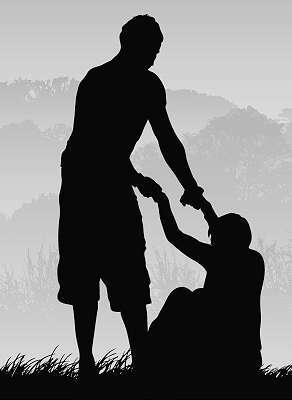 We ourselves get ahead by lending a helping hand to another. Take a moment today to write that note, send that card or make that call and lend a helping hand to someone connected to you. Helping others IS the best way to help yourselves. Be blessed!